November 2: SPEAKING TRUTH TO POWER – What are the words and deeds of women and men that inspire and move you to take action for compassion and justice? Explore the 2nd source of Unitarian Universalism with Rev. Mary. Stay for a potluck lunch and our mini-workshop on making a difference, impacting world affairs. Bring quotes or stories that inspire you. Unitarian Universalist Fellow­ship of the Firelands, meeting in the lower level of First Congregational Church, 431 Columbus Ave., 10:30am, Sandusky. Rev. 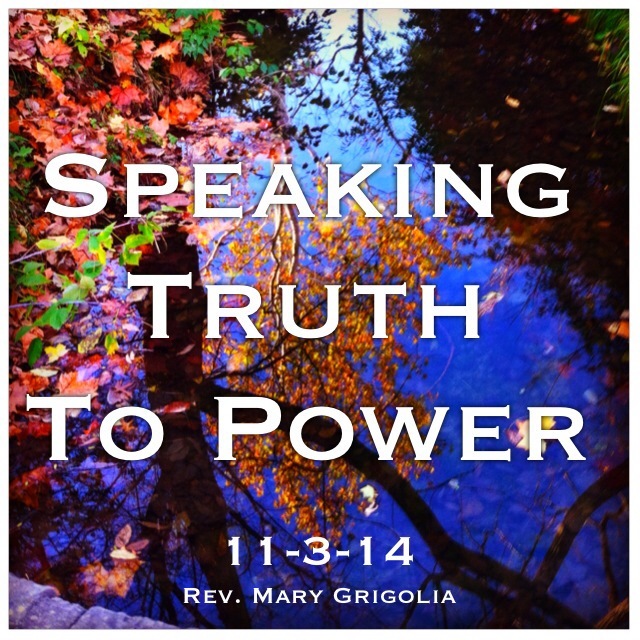 Mary Grigolia presents “Speaking Truth to Power” on Nov. 2. Children’s Religious Education available. We are a liberal religion that embraces diversity. 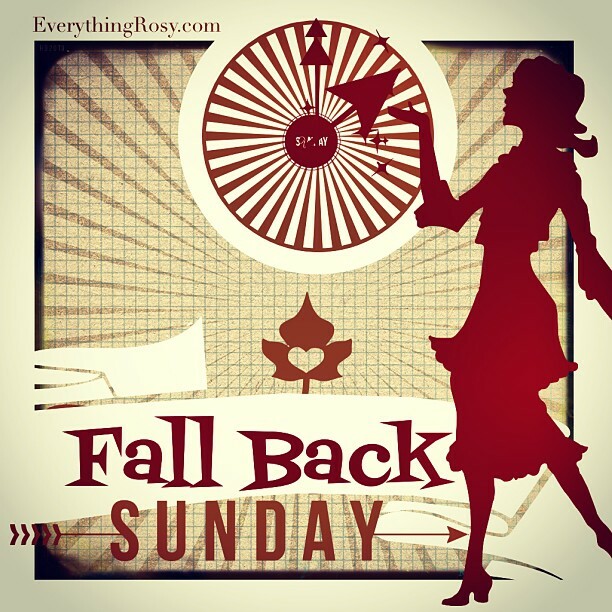 REMINDER: Set your clocks BACK one hour on Saturday night. Sadly, one of our long time members, past president and friend passed away 10/2/14 – Our sympathies are extended to Mary and all of Hal’s family. Harold Kenneth Douthit Jr., 87, of Sandusky, who died Oct. 21 from complications of long-term diabetes, was a newspaper and magazine publisher, computer programing innovator, art and book collector, world traveler and a boxer. He was born in Willa Cather’s Red Cloud, Neb., the son of H.K. Douthit, the Nebraska School of Agriculture superintendent, and Edith (Benjamin) Douthit. In high school, Harold was a Nebraska state boxing champion who also played football and basketball. He was attracted to newspaper publishing at a young age and worked at the Curtis (Neb.) Enterprise during high school. He served in the U.S. Army from 1946 to 1947 and was a French horn player in the 203d Army Band stationed in Denver. He went on to Yale, where he was the college’s first “communications” major — actually combining majors in sociology, English and cultural anthropology — and played varsity and club football there. After earning his bachelor’s degree in 1950, he returned to Nebraska, where he went to work as a reporter, copy editor and then “slot man” for the Fremont (Neb.) Guide-Tribune. The following year, Harold was awarded the Hitchcock Scholarship to attend Columbia University’s Pulitzer School of Journalism, where he earned his master’s degree in 1952. He continued his journalism career as assistant city editor of the Ann Arbor (Mich.) News and then got his feet wet on the business side of the industry, selling advertising for the Hastings (Neb.) Tribune. The allure of publishing drew Harold and his wife, the former Mary Stecher, of Lakewood, whom he married in 1950, to Ohio, where he also had connections to fellow Yale graduates from Cleveland. In 1957, they gathered as much money as they could to invest in a revolutionary web offset printing press — the first of its kind west of New York — which they installed in a converted auto-body shop in Sandusky. They moved the fledgling company, Photojournal Press, to a former television assembly plant and began serving customers in Cleveland, Detroit and Toledo. Beginning with the Vermilion Photojournal, Harold launched his own newspaper chain, which eventually grew to 13 weeklies, including the Chagrin Valley Times, Solon Times and Geauga Times Courier, and the monthly Currents, plus real-estate magazines in Colorado, Utah, Texas, New Mexico, Arizona, Indiana and Ohio. Over the course of his 57-year career, his operation included some 30 publications. His other papers include the Vermilion PhotoJournal, The Press (Avon, Avon Lake, Sheffield and Sheffield Lake), WestLife, North Ridgeville Press, Metro and Suburban Press, and Maumee Bay Press. It was his “Homes Illustrated” magazines that led him to pioneer the next publishing revolution — the composition of classified advertising by computers — which he launched in Denver in 1980. In collaboration with his older sister Janet Weir, he developed Adwriter, which writes real-estate ads in English and Spanish to fit the magazine format, as well as newspaper classifieds. Not only that, connecting with his youthful days of athletic competition, Mr. Douthit adapted Adwriter to produce high school sports programs, along with game and player statistics. Mr. and Mrs. Douthit’s world travels took them to South America, Africa, Asia, the Mediterranean, some 45 countries in all, including the British Isles, especially Wales, where he had extensive family. He was a member and past president of the Ohio Newspaper Association, founder and first chairman of the Ohio Coalition for Open Government, a founder of the National Association of Real Estate Publishers, a member and past president of the Rowfant Club, a member of the Tavern Club, Union Club and Rockwell Springs Trout Club and a longtime trustee of the Cleveland Institute of Art and the Cleveland Institute of Music. He was a winner of the Columbia University Alumni Award in 1996, OCOG Award in 1997, Ohio Newspaper Association President’s Award in 1998, First Families of Ohio Newspapers in 2003 and Yale College Class of 1950 Distinguished Award in 2010. In addition to his wife of 63 years, Mary (Stecher), Harold is survived by his sons, Harold K. “Ken” III (Toni) and Evan Douthit; daughters, Lue and Susan (Darrell Austin) Douthit; grandchildren, Harold “Hale” K. Douthit IV, Morgan and Clark Austin, and stepgrandchild Lisa White; and numerous cousins. In addition to his parents, he was preceded in death by his sisters, Janet (Walter) Weir, Marialice (Mel) Renard and Judy (Bob) Todd. In lieu of flowers, friends may make donations to the Columbia Class of 1952 Scholarship Fund, Yale Class of 1950, Cleveland Museum of Art, Cleveland Art Institute or the charity of their choice. Visitation will be 4-7 p.m. Monday, Oct. 27, at Groff Funeral Home, 1607 E. Perkins Ave., Sandusky. A service and reception will be 4:30 p.m. Tuesday, Oct. 28, at the Union Club, 1211 Euclid Ave., Cleveland.